Welcome to our internet site! Located in China optical base, Wenzhou City, Wenzhou Dongwu Optical Instrument Co., Ltd., is professional in the line of optical equipments and ophthalmic instruments. These products are manufactured strictly according to the international standard. Our products range covers following: 1/.Different types of Ophthalmic equipments and machines, they include Phoropter, Auto Refractometer, Chart Projector, Digital PD Peter and normal PD meter, Auto Lensmeter, Auto Groover, Automatic Lens Edger, Automatic Lens Grover, Hand Edger, High-Speed Hand Edger, Frame Warmer, Frame Heater, Ultrasonic Cleaner, Lens Drilling Machine, Automatic Polisher, Pattern Maker, Centering device, Lens Colour Machine, Ophthalmic Unit, Cornea Contact Lens inspector, and so on. 2/. Slit lamp, Keratometer, and Operation Microscope; 3/. 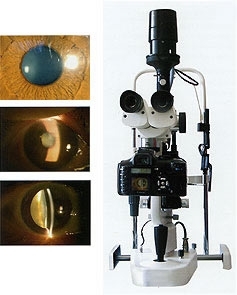 Trial lens set in different types; 4/. Lensmeters in different types； 5/. Ophthalmoscope and Streak Retinoscope, Pliers, wheel; 6/. A/B Scan machines and UBM; Because of the reliable quality and competitive prices, our products have been selling very well in areas such as North and South America, Europe and Middle East. In the past few years, as we have always been trying our best to improve our management and to reduce the production cost, the prices have been lowered by great extent. Although the prices have been lowered very much, the quality has kept improving from time to time. We would like to transfer the profit from cost reduction to all of our customers in order to increase the business volume. We sincerely hope to establish a long-term and friendly business relationship with your company. If you are interested in obtaining more information about our products, please let us know without any hesitation.